Runaway, also called Runaway Killer, is a 1964 New Zealand made thriller film and a road movie. John O’Shea of Pacific Films produced, directed and co-wrote it. Shot in black and white and released on 35 mm and also 16 mm, it was cut to 80 minutes and renamed Runaway Killer for release in Britain, although this lost continuity between scenes. The film stars Colin Broadley in the lead, and several New Zealanders who became famous in other fields; Kiri Te Kanawa, Barry Crump and Ray Columbus. 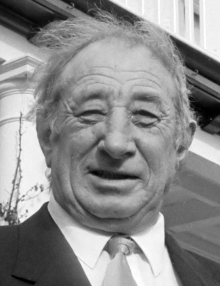 John Dempsey O'Shea, OBE was a New Zealand independent filmmaker; he was a director, producer, writer and actor. High-flying but high-living accountant David Manning gets heavily into debt, loses his job and goes on the road. He is given a lift by the wealthy Laura, who fancies him and is jealous of Isobel, a young Maori woman they meet. After a fight he steals Laura’s car and heads for the mountains of his childhood, meeting Diana on the inter-island ferry and pursued by police. They head up the glacier for a mountain pass. Diana falls, but Manning continues his hazardous journey up towards the pass. Nadja Regin is a Serbian actress. Dame Kiri Janette Te Kanawa is a New Zealand soprano. She has a full lyric soprano voice, which has been described as "mellow yet vibrant, warm, ample and unforced". Barry Crump,, was a New Zealand author of semi-autobiographical comic novels based on his image as a rugged outdoors man. Taken together his novels have sold more than a million copies domestically, equating to one book sold for every four New Zealanders. Crump's 1986 work Wild Pork and Watercress was adapted into the 2016 Taika Waititi film Hunt for the Wilderpeople. Jeremy Wells is a New Zealand television personality, most famous as the host of TVNZ's satirical news show Eating Media Lunch. He currently hosts the Radio Hauraki breakfast show with Matt Heath. Wells also appears beside Hilary Barry on Seven Sharp, where he has taken over from Mike Hosking. New Zealand's Top 100 History Makers was a weekly television programme first shown on Prime Television New Zealand on 6 October 2005. 430 notable New Zealanders were ranked by a panel to determine the 100 most influential in New Zealand history. There were six episodes to present the list, and a final (seventh) episode, screened live on 17 November 2005, showed the rankings of the top ten of these people as a result of votes collected from the public via text and internet.. In New Zealand, the southern man is a stereotypical male from the more rural south island, well used to the solitude and conditions of open mountain or hill country, and completely out of his depth in the city. He is usually depicted as wearing an oilskin duster, Swanndri and slouch hat, an image closely related to Kiwi stockmen. This stereotype is closely connected with a common trope in New Zealand fiction, the man alone. The following lists events that happened during 1987 in New Zealand. The following lists events that happened during 1989 in New Zealand. Leonora Mary Johnson, known professionally as Nora Swinburne, was an English actress. She is best known for her appearances in many British films. 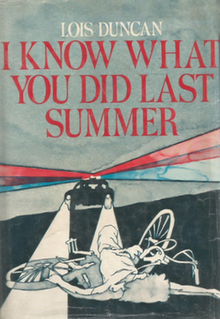 I Know What You Did Last Summer is a 1973 suspense novel for young adults by Lois Duncan. A film adaptation loosely based on the novel was released in 1997. Middle Age Spread is a 1979 film adaptation of the Roger Hall play of the same name. The New Zealand 1990 Commemoration Medal was instituted by Royal Warrant of Queen Elizabeth II on 9 February 1990. 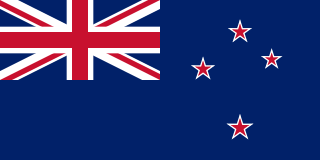 It was to be awarded only during 1990 to about 3,000 people selected in recognition of the contribution they have made to some aspect of New Zealand life, especially the various 1990 celebrations. Subsequently 3,632 medals were awarded. Diggeress Rangituatahi Te Kanawa was a New Zealand Māori tohunga raranga of Ngati Maniapoto and Ngati Kinohaku descent. At the time of her death she was regarded as New Zealand's most renowned weaver. On the Friendly Road is a 1936 film from New Zealand which told a story of New Zealand in the depression. Pallet on the Floor is a 1986 New Zealand made drama/comedy, based on the final novel by Ronald Hugh Morrieson. Shot in 1983 at Patea, partly in a closed-down abattoir, the film was given limited release in New Zealand three years later. Mahia Blackmore an award winning singer and band leader from New Zealand who has been singing since the 1960s. She has been referred to as New Zealand's own queen of rhythm 'n Blues. She has also been part of the Billy TK band Powerhouse. Her music and herself has been the subject on Whenua, a radio show presented by Hēnare te Ua on numerous occasions. Kiritapu (Kiri) Allan is a New Zealand politician and Member of Parliament in the House of Representatives for the Labour Party. Letter to Blanchy is a 1990s New Zealand television comedy series written by David McPhail and A. K. Grant, starring McPhail with Jon Gadsby and Peter Rowley as three smalltown Kiwi blokes, Barry (Gadsby), Derek (McPhail) and Ray (Rowley). A situation comedy where three unlikely characters commit various outrages on the property of their long-suffering friend Blanchy. Barry starts each episode by reading a letter to his unseen mate Blanchy; generally a letter of apology or explanation. They drink beer in a seedy bar and cause havoc with their well-intentioned schemes. Described as "a concept whose time had come – about 20 years ago" or as "Last of the Summer Wine" as written by Barry Crump. "NZ Feature Project: Runaway". 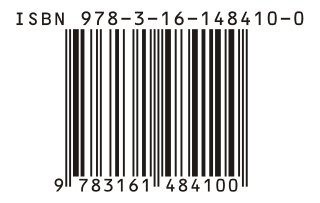 The New Zealand Film Archive . Archived from the original on 21 January 2015. Retrieved 29 June 2015. This article related to a New Zealand film is a stub. You can help Wikipedia by expanding it.